Sara Amado da Costa Roque is conducting a Ph.D. in Biology (Population Biology) by the University of Lisbon within the Conservation in Socio-Ecological Ecosystems Group of cE3c. She is conducting the project The Role of Dispersal in the Recovery of a Threatened Wolf Population, under the supervision of Francisco Petrucci-Fonseca, Faculty of Sciences of University of Lisbon. 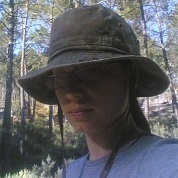 Sara Roque Ph.D. project aims are: wolf ecology and conservation, and population dynamics and genetics. Conceicao-Neto, N., Godinho, R., Alvares, F., Yinda, C.K., Deboutte, W., Zeller, M., Laenen, L., Heylen, E., Roque, S., Petrucci-Fonseca, F., Santos, N., Van Ranst, M., Mesquita, J.R. & Matthijnssens, J. (2017) Viral gut metagenomics of sympatric wild and domestic canids, and monitoring of viruses: insights from an endangered wolf population. Nakamura, M., Godinho, R., Rio-Maior, H., Roque, S., Kaliontzopoulou, A., Bernardo, J., Castro, D., Lopes, S., Petrucci-Fonseca, F. & Álvares, F. (2017) Evaluating the predictive power of field variables for species and individual molecular identification on wolf noninvasive samples. Conceição-Neto, N., Mesquita, J.R., Zeller, M., Yinda, C.K., Álvares, F., Roque, S., Petrucci-Fonseca, F., Godinho, R., Heylen, E., Ranst, M.V. & Matthijnssens, J. (2016) Reassortment among picobirnaviruses found in wolves.